Item Successfully Added in Cart. Kairali Ayurvedic Center introduces a special wellness package to calm and rejuvenate the mind, body and soul. Dhanyamla is another ayurvedic treatment where the infusion is prepared with cereals and vinegar attained from citrus fruits, this concoction is bundled in a piece of linen cloth and is then immersed in a pot of water. This water is boiled for certain time. Then the medicinal liquid is poured over different parts of your body, in a rhythmic manner from a hung apparatus followed with gentle massage. It is useful for conditions like obesity, rheumatism, asthma, spinal disorders and spondylitis. With a wellness legacy of more than 10 decades Kairali Ayurvedic Centre was formally founded in 1989. 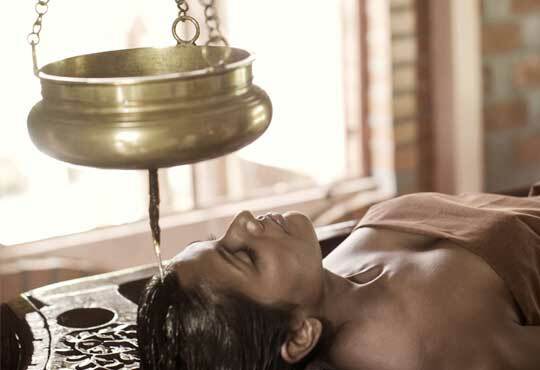 Based on ancient and proven Ayurvedic treatises Kairali Ayurvedic Group has been for last 25 years promoting and establishing Ayurvedic Treatment Centers, Spas, Hospitals and Resorts in India and overseas. Mehrauli, New Delhi - 110030. We are happy to see you return! Please log in to continue. Have you forgotten your password? The password will be sent to the email address. Not a user yet? Create an account! It's quick, free and gives you access to special features. Do you want to redirect to user panel? If yes then click ok else close popup.